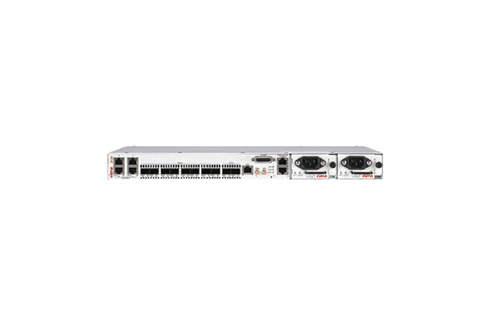 The Ciena CN 3930 is a service delivery switch that focuses on advanced packet networking so your operations can make the transition to a high-bandwidth platform to support leading applications. Deliver high quality of service capabilities and mobile backhaul support across Ethernet business services. Worldwide Supply positions the refurbished Ciena CN 3930 as a way to provide a complete operations, administration and maintenance suite to build out support for your network even as you scale up with larger Ethernet deployments; many customers report a reduction of network operating costs when the Ciena CN 3930 is in use. On top of its OAM suite, the Ciena CN 3930 provides high-quality carrier Ethernet services using a service-aware OS in order to stay one step ahead of bandwidth demands. A used model can be a top way to protect investment and maintain a stronger network. When you choose a refurbished Ciena CN 3930 from Worldwide Supply, you’ll get one of the most advanced carrier Ethernet SDS that supports two 1GbE/10GbE NNI ports for exceptional capacity and flexibility even for those bandwidth-hungry applications. SAOS design ensures that you can deliver all services and SDS benefits across your network and aggregated applications, even working well due to comprehensive interoperability with Ethernet equipment from other vendors. By working with Worldwide Supply, you can select a used, refurbished Ciena CN 3930 to get 10G service and delivery at 1G price points.